One of the great things about this time of year is the chance to see the amazing natural phenomena, the Northern Lights. And it’s easier to see them than you might think, wherever you are in Scotland. All you need is a clear night, a dark place to watch and a dose of good luck. 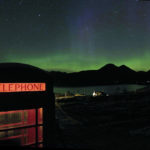 Jonathan Swale, who works on Shetland for Scottish Natural Heritage, is a keen watcher of the aurora borealis, also known as the ‘mirrie dancers’ or ‘shimmering dancers’ on the islands. He said: ‘The winter months are the best time of year to see the Northern Lights and the best time is a couple of hours either side of midnight. This amazing spectacle is caused by charged particles from the sun colliding with gas particles in the earth’s atmosphere. This produces the wonderful patterns of dancing light we see in the sky. The colour of the Northern Lights varies depending on the type of gas particles that are colliding. Most common is a pale yellowish green, produced by oxygen particles about 60 miles above the earth. Nitrogen gives out blue or purplish-red light. And the rare, all-red auroras are down to high-altitude oxygen, at heights of up to 200 miles. ‘The top places to see these magical light shows are areas free from light pollution. You need absolutely clear skies with no clouds and your best bet is to stand somewhere where you have a view of the northern horizon. While they have been seen as far south as Kent and Cornwall, you have much greater chance of seeing them here in Scotland if the conditions are right, as they get stronger the further north you go. 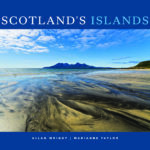 ‘Here are some suggestions: Galloway Forest Park; coast of Fife; Rannoch Moor; Moray coast; the Cairngorms; the far north and north-west of Scotland, from Applecross to Thurso; Lewis; Harris and the most northerly tip of Skye; Shetland; Orkney and Caithness. ‘Our national nature reserves are excellent places to start. Not only are they beautiful places to enjoy nature during the day, they are also a great for seeing the night sky as they are away from artificial lights. For a chance to win a 2019 Scottish Natural Heritage calendar, crammed with images of all your favourite nature, send your best photograph of the Northern Lights this winter to our social media channels – Twitter, Facebook or Instagram – direct message or tag us @nature_scot. For aurora alerts and forecasts, try the AuroraWatch UK, Service Aurora Forecast or the Glendale app. 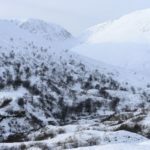 To find a national nature reserve near you, go to the National Nature Reserve website.